Dr. Marshall was born in Augusta, Georgia. She graduated from the University of Georgia in 1979 and from the Medical College of Georgia in 1983. She served her Internal Medicine internship and residency at the University of Kentucky in Lexington. Dr. Marshall was in private practice in Florida for 12 years. 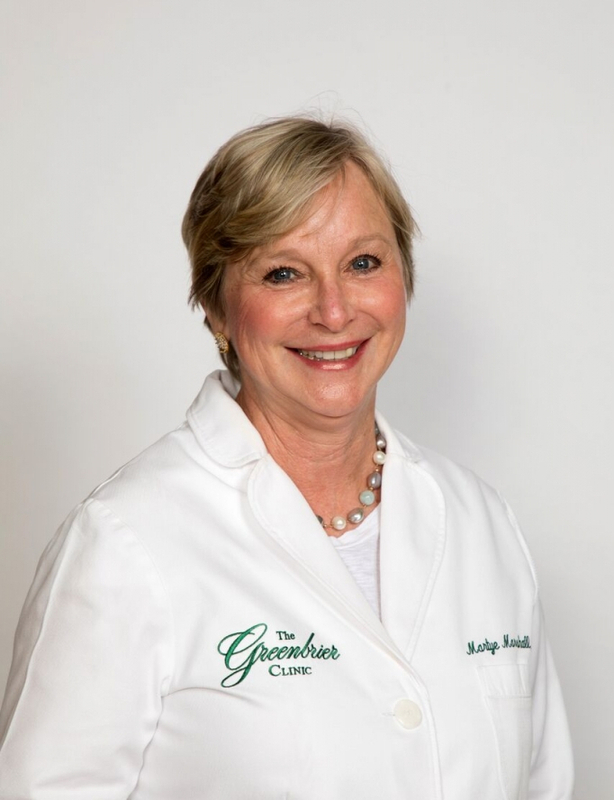 After leaving private practice she specialized in the care of patients with advanced peripheral vascular disease, diabetes and non-healing wounds and served as the medical director of a wound care and hyperbaric medical center in West Chester, Pennsylvania for the last seven years prior to joining The Greenbrier Medical Clinic in 2012. Dr. Marshall has two daughters, Jennifer and Emily, and they enjoy a variety of outdoor activities.